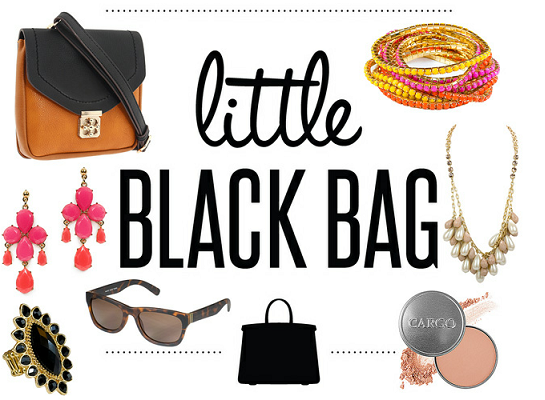 I'm currently just a little obsessed with Little Black Bag. Little Black Bag is a new way to shop: you take a quiz, and based on your style, you get a bag full of designer handbags, accessories, jewelry, beauty items, and home goods. Then, you can look through the full collection of their accessories and swap with other people to get the goods you want. Your products are shipped once you're done trading. The products change often, so you'll always have new accessories to lust after. At first, I was skeptical when I heard I had to spend time swapping just to get the items I wanted. But surprisingly, it was SO much fun swapping! I started out with a bath product that I knew I probably wouldn't use that often, swapped it for a chic gold necklace, then decided to swap the necklace for the Cargo Blush in Rome. I also got a stylish briefcase-inspired bag for work and a beautiful lightweight scarf that I decided not to swap. Little Black Bag is also curated by their Stylists: stylish bloggers and fashion personalities like Blair Fowler, Miss Jen Fabulous, Elle Fowler, Sophia Rossi, and even Hello Giggles. You can follow their LBB picks every month, and even swap with them. Love these stylists? You could be the next LBB stylist! LBB just launched their Stylist Challenge. They are selecting one LBB member to become the next Stylist and join the hottest fashion personalities in the biz in our new Stylist section. 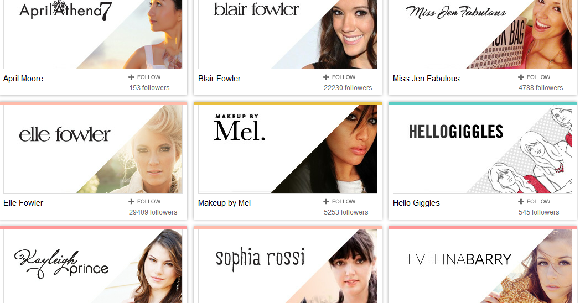 As the winner, you will have the distinction of being an LBB Stylist with your very own Stylist page. The winner will also receive a Stylist-only discount on all purchases. Find out more about the Stylist Challenge and how to enter here. And in the meantime, swap with us! Disclosure: College Gloss was given the opportunity to try out LBB, but this is otherwise an unpaid post and gives our honest review. I love the LBB stylist challenge.